The Airwheel craze swept across the UK in 2015, with ridable technology becoming more popular than ever before. If you don’t think that riding along on a self-balancing unicycle makes you look flash enough on its own, then you need a pair of Airvibes! Airvibes are Bluetooth headphones designed for Airwheel users – although if you don’t have an Airwheel, they are still a pretty cool set of headphones to own. 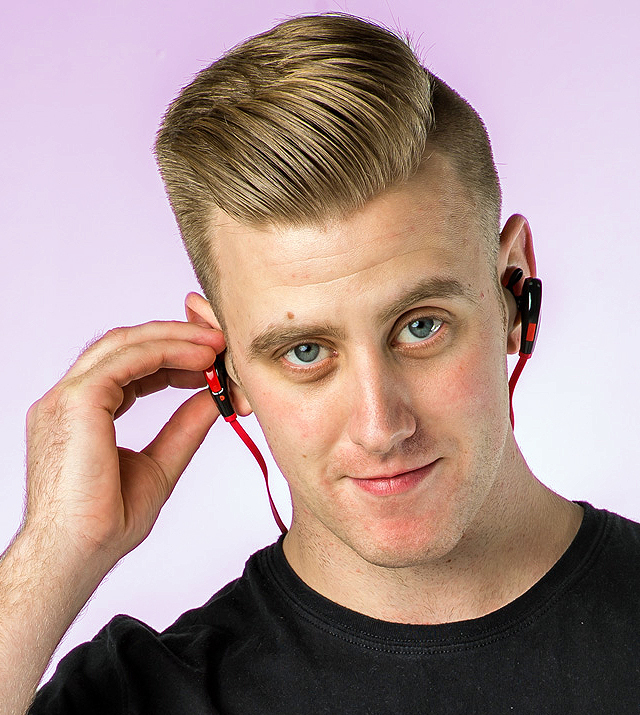 Airvibes are Bluetooth headphones, meaning you can sync them with any Bluetooth compatible device, and ditch the awkward wires that run from your headphones to your phone. If you are a frequent (hi-tech) runner or cyclist you will know the problem I mean. Your smartphone is secured to your arm – as that way you can use a tracking app to keep a record of your run or cycle – and then you’ve got to run wires up your arm, under your cloths and up your neck in order to listen to your music. Airvibes only have one wire: the wire between the two earpieces. This makes connecting and disconnecting your headphones a much less stressful experience. I have been asked why they have the wire between the earpieces if they truly are wireless, to which I surmised that it would be really easy to loose one of your earpieces if they weren’t connected together. 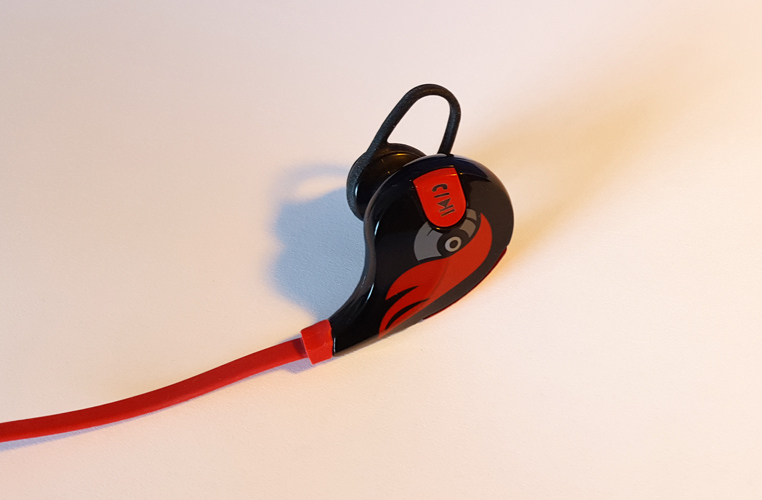 So if these headphones don’t attach to your phone, then they must have a battery right, which probably has a pretty shoddy lifespan considering how small the earpieces are. Well Airvibes do run on battery power, yes, however the life span – considering they are both syncing via Bluetooth and playing music – is actually pretty impressive: around 5 hours. I’ve had my Airvibes over a week now, and use them regularly, however I’ve only charged them once; when I first opened the packet. Airwheel seem to be pretty good at making a little battery go a long way. Thankfully Airwheel realised that micro USB was the way to go in terms of charging, as pretty much every phone (Apple devices aside) sat-nav and digital camera you have ever owned connects and charges using this port. All your current chargers will therefore work with the Airvibes too; meaning it’s not a disaster if you lose the charging lead. That said I would expect the Airvibes to come with a means of charging, and a micro USB lead is included in the box, however it seems to be a growing trend that manufacturers expect you to own an abundant supply of USB wall-plugs, as like when I reviewed Samsung’s Wireless Charger, Airvibes don’t come with a wall-plug. Maybe we are expected to use our laptops USB ports as a means of powering devices. Or maybe because more goods are being sold globally, and the USB is a global port, whilst wall-plugs differ from country to country, it’s just easier for manufacturers to leave these out of product packages these days. I’ve been pleasantly surprised with how well the Airvibes have been designed. They fit really rather well into your ears, without much effort, and a little rubber loop just above the earbud keep them from falling out. The sound quality is what you’d expect from a standard set of headphones: good, but not exceptional. The rubber around the earbud does a surprisingly good job of soundproofing, blocking out enough background noise to mean you don’t need to have your music deafeningly loud to drown out what’s going on around you. If you are a frequent Airwheel rider, you’ll be pleased to know that this soundproofing does a good job of blocking out the annoying beeping noise the Airwheel makes when it gets near the speed limiter! The Bluetooth works pretty well, if you’re staying in one place, you can walk away from your phone a little (assuming it’s not in your pocket) and you’ll still pick up a signal. When using Airvibes on an Airwheel, they work just as well. Occasionally I have noticed a slight drop out, especially when going fast, but it’s quite rare and only momentary. Being Bluetooth, the headphones can not only play music from your device, but they can also be used to control your device too. The functions are relatively easy to learn, although a glance at the instruction manual would do you some good, as it may prevent you accidentally calling people in your address book, as I did when I first tried the Airvibes out! A built in microphone matched with the function buttons means that you can make and receive calls through the Airvibes; a useful add-on feature. Volume up and down, skip track, pause and play are the key functions available. When out riding an Airwheel, I have found the buttons are all reasonably easy to use, all being accessible on the one earpiece. I have sometimes found it difficult to press the play/pause button, and this could do with being slightly raised, or recessed, just to make it that bit easier to find. Airvibes are a decent little set of headphones. If you have been looking for a good pair of wireless headphones, I can highly recommend you try Airvibes. The sound quality is good, you can control your music and make phone calls on them with ease. They currently retail at around £30 GBP which I feel is a fair evaluation of what they are worth. My Airvibes were from Airwheel.direct, the same place that I bought my Airwheel from. 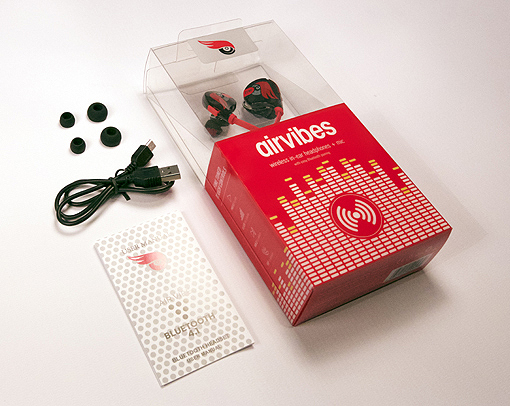 If you’d be interested in finding out more about Airvibes, or want to get yourself a set, head over to their website.